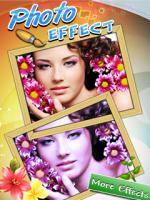 Take any photo from your mobile camera and quickly apply Special Effects. It can convert it into high quality Images with border. Photo effect app helps you share your photos with your friends on Facebook. So you can have a different profile picture to attract friends.